Corrugated plastic. Cor-plastic. Coroplast. This sign and plastic sheeting material has many names and even more uses. Due to its unique blend of durability and affordability, corrugated plastic board is an incredibly popular choice for short-term signage and containers. If you are considering using corrugated plastic in an upcoming project, here is everything you need to know and consider about this highly versatile material. Coroplast is the trademarked brand name of the world’s largest producer of corrugated plastic. Corrugated plastic boards are essentially plastic cardboard, and are made from three layers of thin, polypropylene plastic substrate. 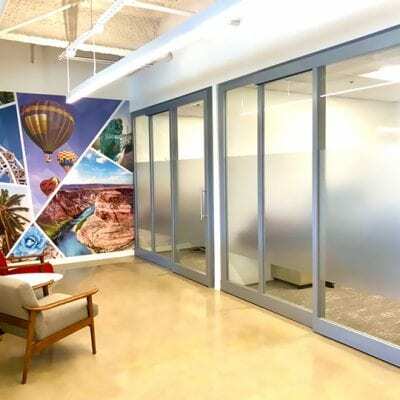 The product consists of a zig-zagged layer of plastic sandwiched between two smooth layers of plastic sheeting – also known as twin-wall plastic sheeting. Coroplast’s layered structure makes corrugated plastic incredibly lightweight and shock absorbent. Polypropylene, often abbreviated PP or referred to as a #5 plastic, is a thermoplastic polymer that is incredibly stable. Polypropylene is ideal for Coroplast projects because it is chemically inert and has a neutral pH — that means that it can be exposed to heat, cold, chemicals, and solvents without degrading. Furthermore, polypropylene is chemically stable enough that it can be mixed with additives to give the resulting material special properties, like flame retardancy, UV-protection, static resistance, or bright custom colors. What are the advantages of using corrugated plastic boards? Coroplast is a unique blend of durable, affordable, lightweight, and pliable. This combination makes it incredibly versatile such that it can be used in all sorts of projects and displays. Durability – Coroplast board is not invincible and is not meant to be displayed forever, but it can take a serious beating from the rain, the sun, or human handling before showing any signs of aging. Coroplast also is impervious to damage from insects and rodents. Affordability – Coroplast is the market’s most inexpensive material for outdoor display. Printing onto and cutting Coroplast is a straightforward and inexpensive process that doesn’t require highly specialized equipment. Lightweight – Transporting, distributing, and displaying Coroplast is complication-free. You definitely won’t have to worry about the wall collapsing or anyone losing a toe should it fall. Pliability – Coroplast is sturdy enough to lay flat on its own, but flexible enough to give you a lot of options. Cut it, bend it, staple it, punch holes in it for grommets… whatever you need to do! What are common uses of corrugated plastic? The most common use of corrugated plastic is for temporary outdoor signage, especially for yards. 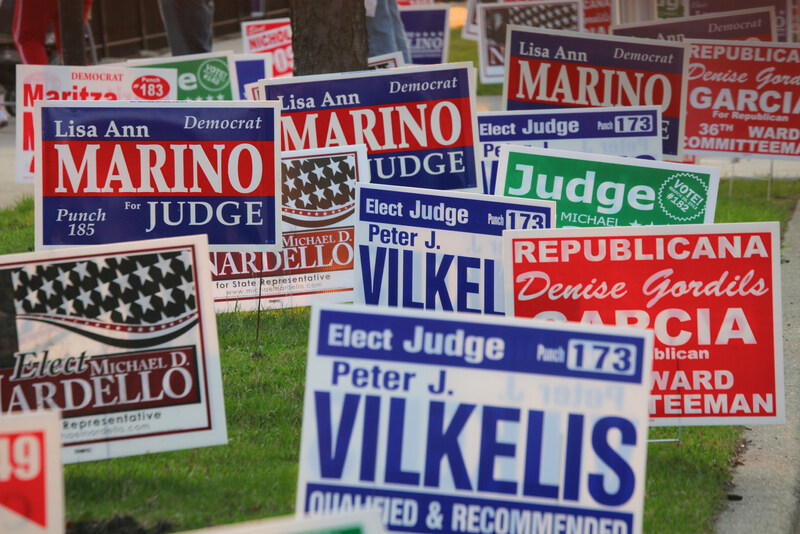 Campaign signage, home security notices, real estate signs, “for sale” signs, and parking signs are all examples of outdoor signs that are often made from corrugated plastic boards. Coroplast can also be used to construct containers and packaging. 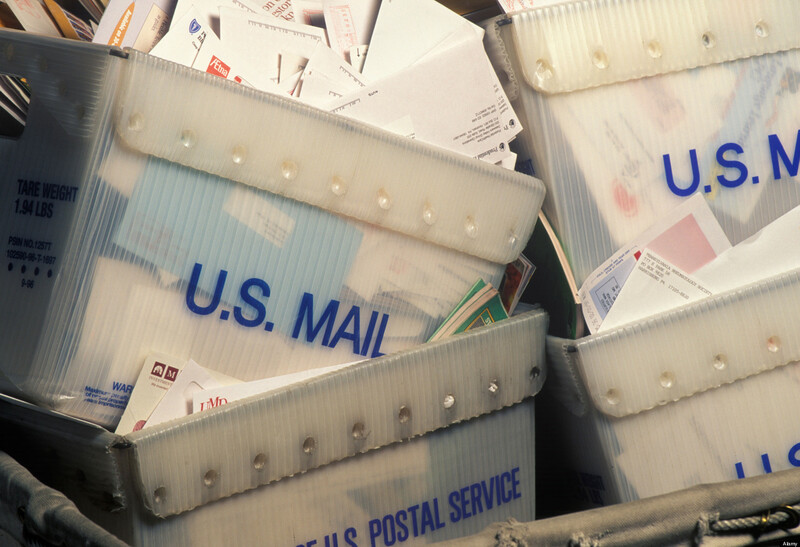 Being both lightweight and sturdy, many postal services construct mail carriers out of Coroplast. Like any material, the lifespan of your Coroplast display depends on the conditions it is subjected to. When displayed outdoors in normal conditions, Coroplast will normally last about a year before it may begin to show a bit of warping or discoloration. When laminated with a matte finish for extra protection, a coroplast sign will look its best for longer. Coroplast can last virtually forever when kept indoors and not subjected to much wear and tear. 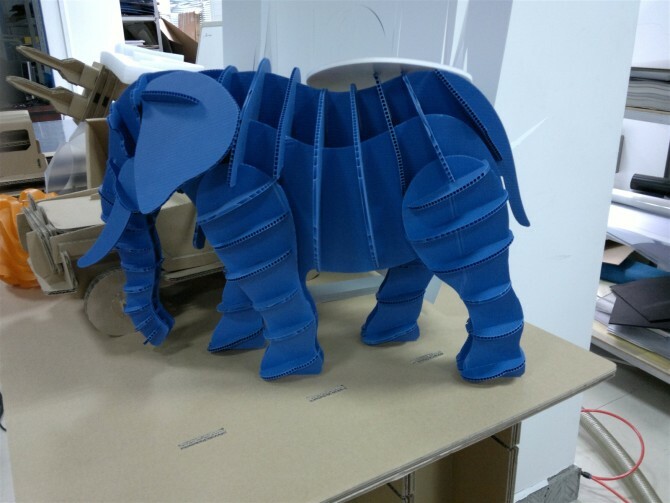 Corrugated plastic is a fabulous material for printing. Either an image can be printed onto acrylic and then applied to the Coroplast, or the graphic can be printed directly onto the plastic. Because the plastic sheeting usually comes in a bright white color, the full color spectrum looks great on corrugated plastic. Yes! Corrugated plastic made from polypropylene is 100% recyclable under Resin Code 5. How to recycle polypropylene depends on where you live. Not every curbside recycling program will accept it, but any recycling facility will. Prior to recycling your Coroplast board, remove any accessories that are not made of polypropylene, like metal stakes or grommets used in display. Your recycled corrugated plastic can be melted down and reformed for a wide variety of uses, especially for household wares made from plastic like bins, brooms, ice scrapers, and trays. Your old corrugated plastic sheets can be recycled into a number of common household plastic products. It is also important to note that polypropylene is not biodegradable, so it is best if you opt to recycle your old corrugated plastic boards rather than throwing them in the trash where it will end up in a landfill. Polypropylene #5 plastic is non-toxic for humans and animals at a wide range of temperatures. Where many other plastics leach poisonous BPAs, Coroplast is safe for the whole family. Polypropylene is considered the by the FDA to be among the safest plastics available because it is so heat resistant — even scalding hot beverages can be served in polypropylene containers without any toxins leaching out. Some polypropylene containers are even manufactured to be microwave safe. This means your corrugated plastic boards are food-safe, non-toxic, and perfectly reusable. All finished with your Coroplast signs? 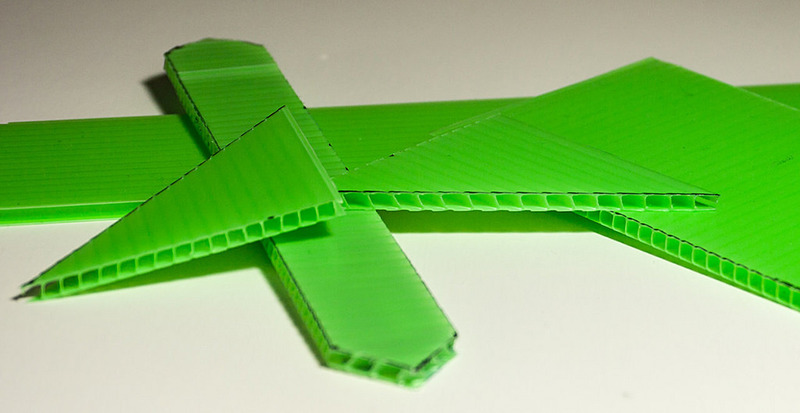 Coroplast board is recyclable, but it is also a highly reusable product. Corrugated plastic is an incredibly useful material to have around the house if you are crafty. Save those sheets to make some neat Coroplast projects of your own! Coroplast is non-toxic and food-safe (unlike PVC), so it is safe to use around children and animals. In recent years, owners of small animals like guinea pigs and ferrets have taken to using Coroplast to build homemade cages and playgrounds for their pets. If you are baby-proofing your house, you can use it to wrap sharp corners and barricade anything that might be tempting for your child to climb on. Because corrugated plastic is waterproof and retains its structural integrity, you can build some pretty useful things out of it. Attach several sheets to make a bicycle basket or even a birdhouse. Pinterest has plenty of great ideas to turn your old yard sign into something useful or beautiful. Recycled Coroplast projects are a fun and environmentally-friendly way to get in the DIY spirit. Coroplast board does not look expensive or permanent, because it is neither of those things. We don’t recommend using corrugated plastic for the main, permanent sign for your business. First of all, it won’t last forever and will show its age after about a year. Second of all, it looks (and is) cheap. Read about materials better suited for businesses here. 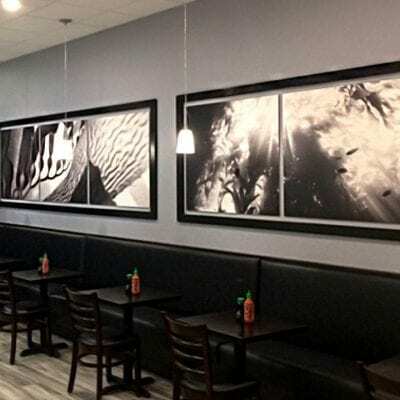 Photographs can be printed onto corrugated plastic, but it is not the best medium for photography printing. Vector images are much better suited to the aesthetic of Coroplast. 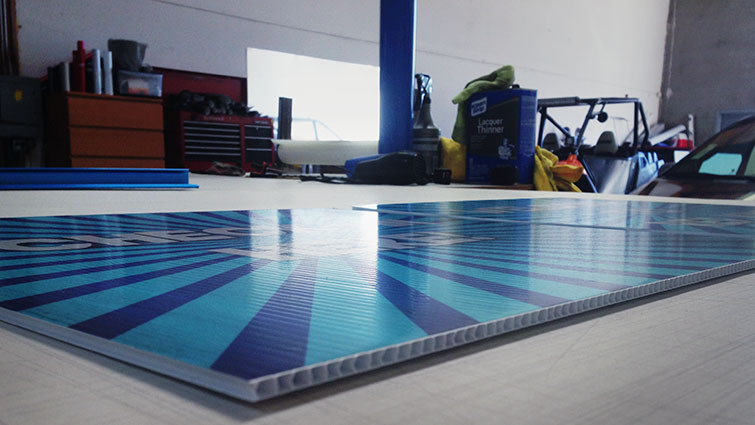 If your main priority is that a photograph looks great, we’d recommend opting for foam core instead. Coroplast board can bend and warp, especially if exposed to intense heat or left in a hot car. If you need a material that will remain rigid no matter what, we recommend Sintra. Coroplast may be non-toxic and easily recyclable, but it’s production is not particularly environmentally friendly. 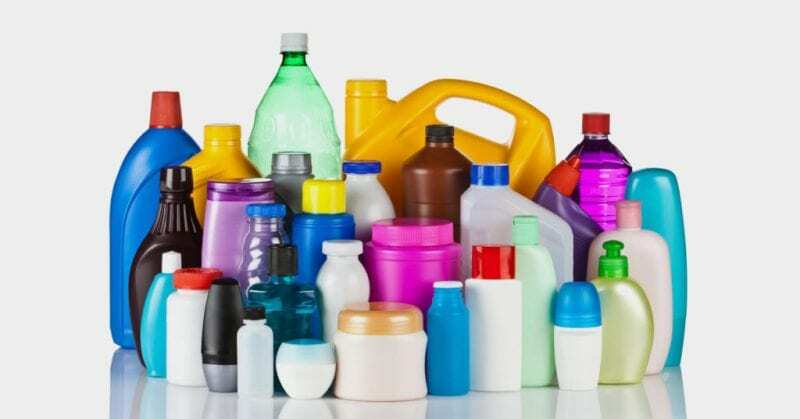 Polypropylene is among the least environmentally damaging plastics to produce due to its low density and thermal resistance, but it is not biodegradable and also does produce substantial carbon waste during production. If environmental sustainability is an important factor in your project, consider using recycled Coroplast or an Eco-Plastic material rather than purchasing new corrugated plastic boards. Corrugated plastic board is incredibly versatile and gives you many options for hanging. Here are some of the most common ways to display corrugated plastic signs. Hooks – One of the most common ways that you see coroplast signs hanging up is with punctured holes in the sign. The proprietor of the sign will often puncture holes in the sign so that they can insert either a hook, grommet, or zip tie to hang it out. The only problem is that when you poke holes in your coroplast sign, they can start to deteriorate more quickly over time. To prevent further tears and also give the sign a more refined look, you can use grommets. A-Frame signs – A-Frame signs are especially useful if you would like to display your sign on a sidewalk during business hours but take it down after closing. They also give you the possibility of changing out the image on a regular basis – this is a great solution if your business cycles through specials and sales! 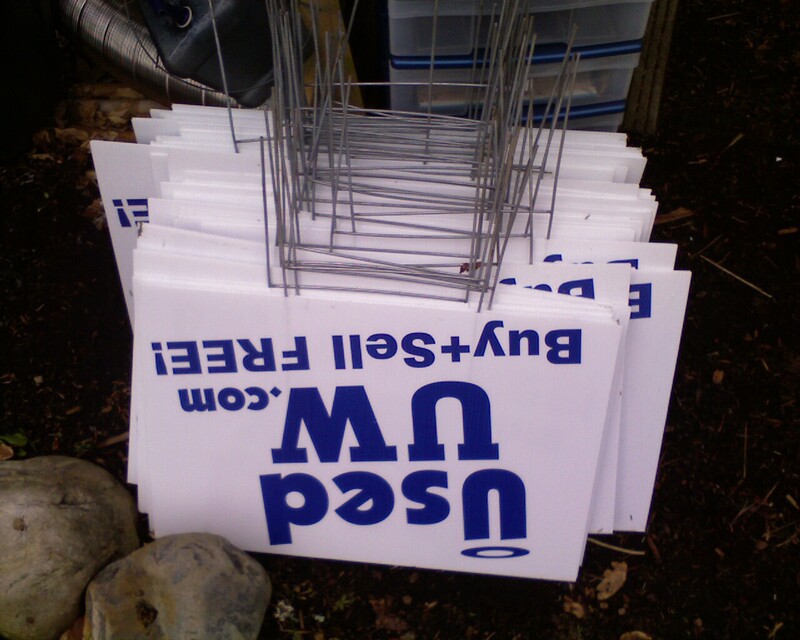 Wire mounting stakes – The classic yard sign is printed on corrugated plastic and then mounted to wire stakes, which are then lightly hammered into the earth. If you want to make sure that your Coroplast signs stay looking bright and new for years of use, there are a few tips that you should follow for keeping your sign in top condition. Wipe it Down – If you are planning on reusing your sign outdoors or using it outside occasionally, you are going to want to make sure that you wipe it down every once in a while. If you are using your Coroplast sign primarily as a temporary outdoor display, you should be sure to that you take it inside to wipe off any dirt or debris. You don’t need any special kind of cleaner, just a little soap, some water, and light scrubbing will do the trick.You can also use a solution of vinegar and water to kill any germs or bacteria that may be clinging to your sign. Proper Storage – If you are using your coroplast sign seasonally or occasionally, how are you supposed to store it when it’s not in use? The best way that you can store your sign is to keep it somewhere safe where it won’t be smashed underneath or between anything. Keep in mind that the sign is durable and incredibly resilient to impact, but excess pressure for long periods of time could still make your sign bend or crumple. If you can lay it flat or stand it up against a wall, that’s perfect. If you can store your sign at about room temperature, that is ideal for keeping your sign looking new the longest, but you shouldn’t have any issues storing it in a storage room, shed, or garage that experiences changes in temperature. That’s just another pointer for keeping your sign looking better for longer. Avoid Folding – If your sign was not designed to be folded, don’t fold it or keep it folded. Folding can cause your sign to wear out faster and lose its flat-lying form. Have more questions about Coroplast and how you can use it for your next project? Leave a comment below or give us a call at 858.866.6560! I want to make some products using 8 mm coroplast board. I have been looking for a good way to cut uniform straight cuts with the flute and across the flute. Also looking to cut rounded corners, and groves and notches. I would really appreciate your help / suggestions for the same. I’m making diy now hiring signs to put around and no one can answer this question for me. I’m using blank white sheets of Coroplast and writing on them with permanent marker (or should I use a paint pen?). Should I put some sort of sealant on after the writing dries to make it last a little longer in Minnesota elements? Google doesn’t even have an answer. Thanks very much for the informative article. Extremely helpful. I am seeking to use a 3mm Coroplast tile as backing / spacing in a mass produced picture frame. As such, consistency of thickness is paramount. How consistent should I expect the thickness of Coroplast to be from a legitimate manufacturer? Does 3mm really mean 3mm or does that measurement imply a range and/or vary from batch to batch?